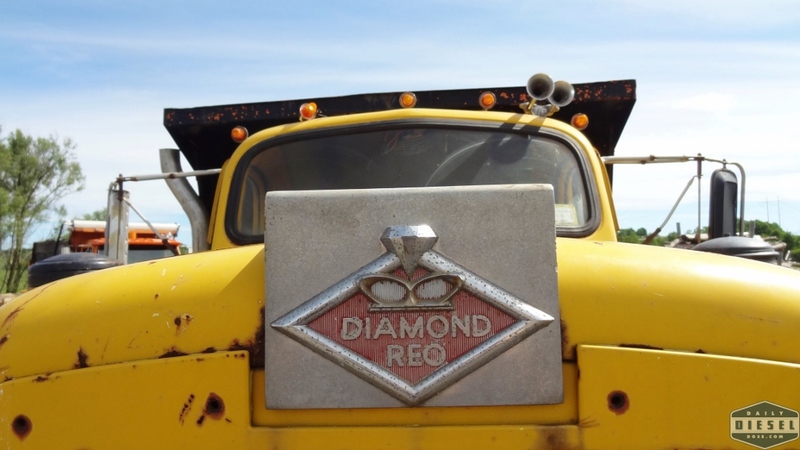 So what do you do when your cruising down a two lane country road and you notice a Diamond Reo sitting in a construction yard? You stop of course! This past Monday I spent most of the day travelling with Ryan and Chris as we searched for plows rigs of any make, model, or size. Ryan hand worked out a detailed itinerary planing to hit up a variety of town barns through out Herkimer County. While we found a few trucks of note I think more gems were discovered along the way than in any of the garages we visited. But that’s just me. In the coming days you’ll have the chance to form your own opinion. Stopping to check out this Reo we came across the owner who was more than willing to let us climb all over it. Without prompting he grabbed a can of starter fluid and dosed the air intake. Seconds alter the Cummins 555 roared to life without much work. Unfortunately Rot has really done a number on the floorboards in this old truck and a few other sections so it’s strictly a yard machine now. Looking at the cab it’s hard to believe this is a 1971 model but it’s true. Diamond Reo was part of the White Motor Company empire at this time and this cab is a clear indication of how the company had grown too large with too many overlapping marques. The time and money to develop modern interiors over the product lines of White, Diamond Reo, and Autocar was simply too much. It might not have been competitive for the times but it sure is cool, especially be the standards of today. Below, listen to the triple nickel roar to life. Much, much, more to come. 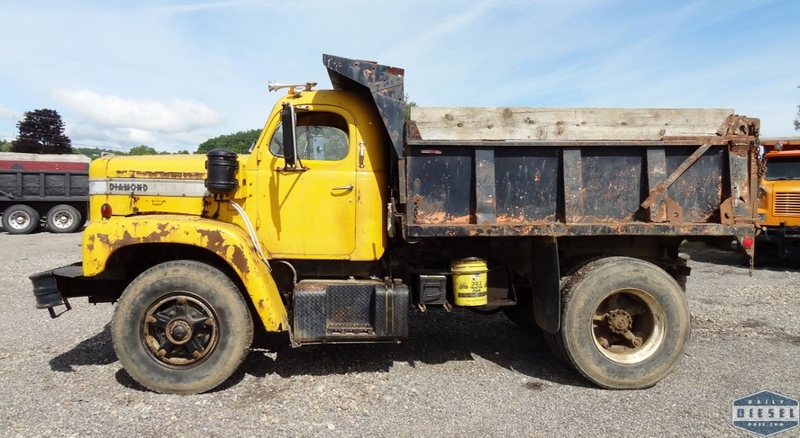 This entry was posted in Still Working and tagged cummins 555, Diamond Reo, dump truck, triple nickle cummins. Bookmark the permalink. I would so make a giant pickup or flatbed out of her! Pedone, Sweet and Davis…Sounds like a law firm. Lol. Specializing in heavy truck litigation. A model C-101 if I’m not mistaken. Should have been originally equipped with a Gold Comet gas engine.